Camera companies are finding it increasingly difficult to compete with Smart Phones. To that end, built-in Wi-Fi is becoming a common camera feature because it allows you to take advantage of the controls, optics and image quality of a “real” camera and then wirelessly transfer photos to your Smart Phone and upload to Facebook, Twitter and Instagram no matter where you are. The latest strategy is to actually put a Smart Phone operating system into a camera so you can take a picture with your camera and then share it instantly. Polaroid’s new Android-powered iM1836 mirrorless camera does just that and it got a ton of attention at this year’s CES tradeshow. 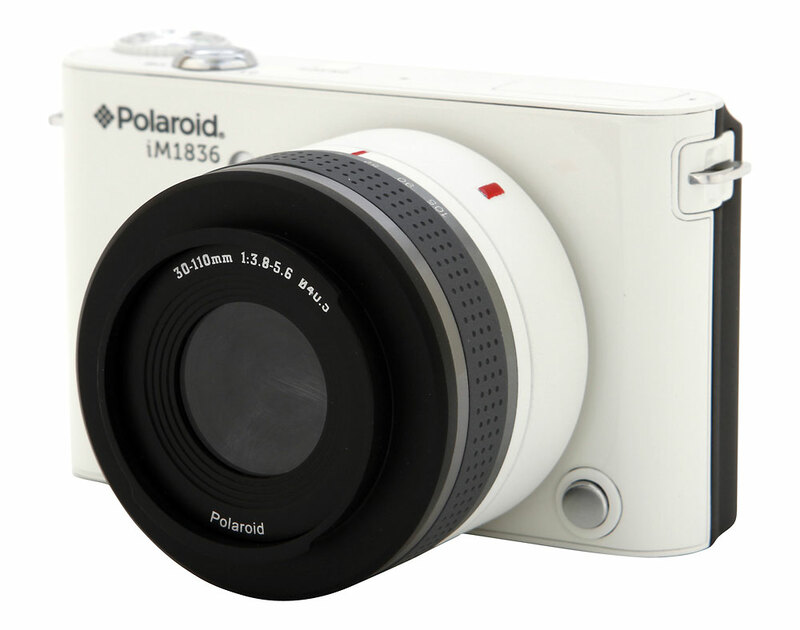 What sets the Polaroid iM1836 apart from previous Android cameras is it has interchangeable lenses. Polaroid is calling it an “Android-Powered Interchangeable Lens ‘Smart’ Camera.” The iM1836 press release is a little vague but the basic specs are an 18-megapixel sensor, an interchangeable 10-30mm (27-81mm equivalent) zoom lens, full HD video, built-in Wi-Fi, Bluetooth, a 3.5-inch touchscreen display and the Android Jelly Bean 4.1 operating system complete with Google Play Store and full Android app compatibility. Before we move on, I should point out that the Polaroid we’re talking about isn’t the same company that was founded by Edward Land in the 1930s. That company went bankrupt a few years ago and the brand name was sold off to an investment company. Polaroid’s once ubiquitous instant cameras are become hipster collector’s items and the Polaroid brand is now being licensed for low-end point-and-shoot digital cameras. The Polaroid iM1836 Android camera is being manufactured by Sakar, a company that makes all kinds consumer electronics and then uses licensed brand names to market those products. Their current digital camera offerings include Vivitar cameras and lenses as well as Nerf, Disney and Hello Kitty digital cameras. Of course, they also license the Polaroid brand. 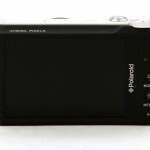 But until now, the Polaroid name has only been used for inexpensive digital point-and-shoot cameras. Let’s get on to the camera details now – or rather, the lack of camera details. The biggest question I have is the size of the sensor. The press release says the camera will have an 18-megapixel sensor but doesn’t mention the actual sensor format. According to people who met with Polaroid at CES, the iM1836 will have a 1-inch sensor like the Nikon 1 mirrorless cameras (Nikon J1 Pro Review), which the Polaroid iM1836 bears a striking resemblance to (although people who handled it at the show say it doesn’t have the same solid feel as the Nikon). However, Sakar plans to put the sensor in the lens instead of the camera. That might sound wacky to some readers but it’s been done before. Ricoh has a whole line of cameras with interchangeable sensor / lens “modules”. But the Ricoh cameras are designed for serious photographers and they’re very expensive. 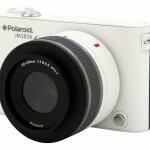 With a price of US $399 for the camera and lens, Polaroid is targeting the big box store consumer market. That shouldn’t be a surprise either, if you look at the other Polaroid-branded cameras Sakar makes. I have to say, I’m a bit skeptical of the 1-inch sensor claim. Looking at photos of the camera with the lens removed, it looks more like it was designed for a point-and-shoot camera sensor like the Pentax Q mirrorless cameras. On the other hand, if they do deliver, the iM1836 will be, by far, the most affordable interchangeable lens camera with a decent-sized sensor. The Polaroid press release also says that they are planning adapters that will allow the use of “all existing Micro Four Thirds system lenses” as well as Nikon and Canon lenses. However, if the sensor is in the lens, then those lens adapters will have to include a sensor as well as a lens mount. Connectivity is another thing that needs to be discussed. The press release says the iM1836 will have Wi-Fi and Bluetooth but does not mention mobile service. Having the Android OS in the camera means you can install and use Facebook, Flickr, Instagram and whatever other apps you want. But one of the main reasons people use their Smart Phones to share is they can be used from almost anywhere. With your Smart Phone, you don’t need a Wi-Fi network to post. You can upload photos and videos from anywhere you have a mobile signal. That’s one of the things I’ve really enjoyed about using the Android-powered Samsung Galaxy Camera I’ve been testing for a few weeks. It’s got an AT&T SIM card and full 4G mobile service so I can take a picture and post it immediately, no matter where I am. It doesn’t look like that will be possible with the Polaroid iM1836, although you can use the camera’s built-in Bluetooth to transfer photos from the camera to your Smart Phone. On the other hand, I can do that now with any camera and an Eye-Fi card. By all reports, the Polaroid iM1836 is still just a few steps beyond vaporware and there are a lot of questions about what might actually make it to market – if anything. At the 2012 CES tradeshow Polaroid showed off an Android-powered point-and-shoot with a 3x zoom lens (2012 Polaroid Android-Powered Smart Camera) that never made it into production. But even though there’s a lot of skepticism about the iM1836, it did get Polaroid a ton of attention. And the concept is definitely an exciting one. I love the combination of real camera features and Smart Phone connectivity I have with the Samsung Galaxy Camera and why not add interchangeable lenses? However, my guess is the Polaroid Android “Smart Camera” isn’t the Android camera most of our readers would be in the market for. For only $399, don’t expect it to be a real competitor for the other mirrorless camera systems out there. 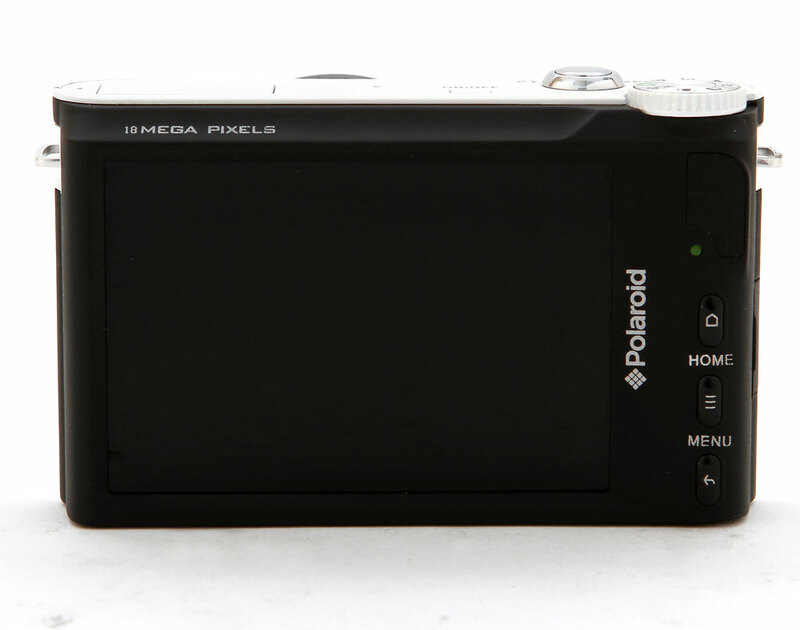 Considering the price and other Sakar products, the Polaroid iM1836 is designed for a different market. If it actually makes it into production, you’ll be a lot more likely to find the iM1836 at Wal-Mart than your local professional camera dealer. The Polaroid iM1836 press release didn’t include any information on when the camera will be available. The information I have found has been contradictory – dpreview’s article says it should be available in the first quarter of 2013 but in the video above the Polaroid rep says it will be available in the second quarter. I guess we’ll just have to wait and see. As mentioned earlier, the Polaroid iM1836 is supposed to sell for US $399, including the 10-30mm (27-81mm equivalent) zoom lens.